Hey there, What's your biggest fear in BJJ? It's fighting someone bigger than you, right? It's not your fault - it's in your DNA. When we were Cavemen and Cavewomen we quickly learnt to be wary of 'The Bigger Guy' - the bigger guy always carried the bigger stick and could hit harder from further away. 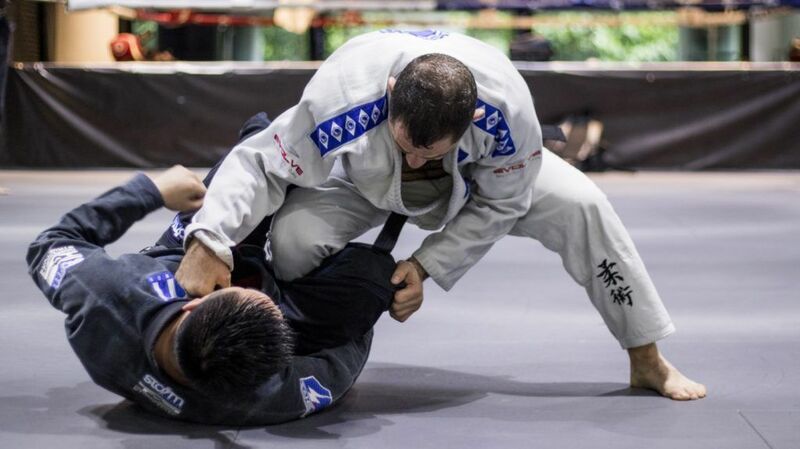 Fortunately, there are no spears in Jiu Jitsu and Jiu Jitsu has a wide range of techniques that are perfect for when you're up against someone who is bigger and stronger than you. That doesn't stop that fear voice in the back of your head when the time comes though. So shut that annoying voice up by remembering these tips and keep them in the front of your mind next time you're fighting a gorilla. 1. Keep Moving! The problems start for the smaller grappler when they allow the heavier opponent to secure a position and apply their bodyweight. The best light guys I have seen moved their hips well and tried to stay one step ahead of a big opponent – never allowing the opponent to settle the position. The smaller grappler usually has an advantage in speed and they must use it to stay out of the grasp of the strong opponent. Do NOT contest power with a bigger opponent > it is a losing game! 2. Take the Back Out of all of the ground positions in bjj, the back is the safest spot for the smaller fighter. Just as David used a sling shot and a stone to defeat Goliath, the smaller bjj’er should use back takes and rear naked chokes to beat a big guy. Helio Gracie felt that a strong opponent may continue to fight after an arm lock, but when the choke is applied, their is no defence regardless of the size of your biceps! The short arm drag is the best friend of a smaller bjj’er to slip around to the opponent’s back. 3. Develop a Solid Defensive Guard This tends to happen quite organically for the lighter bjj student. Since they are smaller they end up on the bottom in many rolls and spend time developing their defence. Emphasis should be given to guard styles like ZGuard and deep half which help the bottom keep the bodyweight off of them. If your opponent has difficulty passing your solid defensive guard, they start to fatigue and will resort to trying risky methods to pass your guard. This creates openings. When they make a mistake, you can sweep, submit or slip around to their back.